Home / Anonymous / Cyber Crime / Cyber Security / Domain / Hackers / Hacking / Hosting / Malware / Network Security / Ransomware / Vulnerability / Website / GoDaddy Refuses To Serve Domain Daily Stormer. GoDaddy Refuses To Serve Domain Daily Stormer. American hosting company GoDaddy Inc. has provided 24hrs to the management of Daily Stormer site to go to another provider because of "violation of the rules of service." 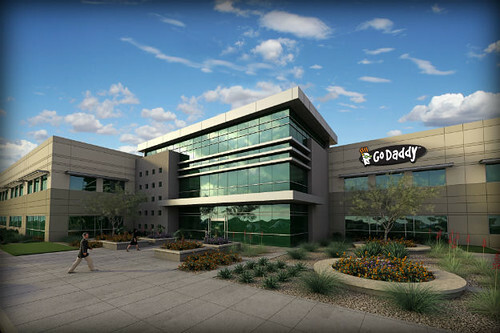 GoDaddy Inc. Asked the Daily Stormer to change the domain after an article which was published on their website that contained defamatory information about a woman who died during the nationalist movement on Saturday in Virginia. If the site's management fails to take any action within the specified time, the service will be canceled forcibly, adding that since the article appeared right after the incident, the company believes that the published material can lead to new acts of violence, which contradicts the registrar's policy. This is not the first time that an American registrar has asked to do so. A few months ago, a non-profit legal human rights organization commanded that GoDaddy terminate its association with this site. GoDaddy has been criticized for months to provide domains to such sites. In response to the published article Daily Stormer, Anonymous hackers claim their involvement in hacking the Daily Stormer. The hacker group reported the hacking of the Daily Stormer site and the intention to stop the publication of content containing hateful information, claiming that they own all the information about the servers and will provide the necessary data at the right time. Given that the registrar gave 24 hours for the transfer of data, they said that the whole world will be able to see this article, and after the end of the rock site will be closed forever. Nevertheless, because of the nature of Anonymous, no one can really tell whether it is true or false. It is also impossible to confirm whether the hacking was performed from a registered account, or the Anonymous group took part in it. 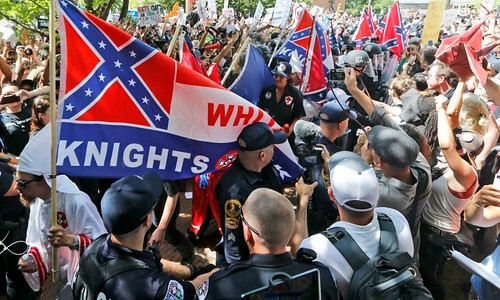 The rally of hundreds of protesters in Charlottesville, Virginia, took a sad turn on Saturday, when the car crashed into a crowd of protesters, as a result of which one person was killed and nineteen injured. Two servicemen also died as a result of the helicopter crash after trying to settle the conflict. The rally, which was believed to be the largest gathering of supporters in a decade, gathered in the city in protest at the plan to demolish the Federal statute. After the incident, Virginia Governor Terry McColliff announced a state of emergency and prevented the further ignition of this movement, telling all those gathered to return home, as they are not needed in the Commonwealth of Nations. Be aware of all events with Ethical Hackers Club! We offer you fresh news about Cyber Security, Hacking, Cyber-crime, Network Security, Vulnerabilities, malware incidents, ransomware attacks, data leaks, data theft, and technologies. With us, you will never miss a single news! Stay Connected!